Sudan’s President Omar Hassan al-Bashir gestures during a press conference at the palace in Khartoum, Sudan [Mohamed Nureldin Abdallah/Reuters]. Link to image. Sudan’s political crisis has reached its worst since the coup led by President Omar Hassan al-Bashir in June 1989. The collapsing economy, ongoing armed conflicts between the regime and armed movements in the Darfur, South Kordofan and Blue Nile states, endemic corruption, and the power struggle within the regime have pushed the country towards a tipping point. Coupled with current popular protests over the 2018 austerity budget that are gathering momentum across Sudan, these factors create the conditions that will result in one of two scenarios in Sudan: either swift and meaningful change, or descent into chaos and disintegration. Without meaningful domestic, regional and international efforts to facilitate a credible, all-inclusive conference that leads to a fresh political transition, Sudan will be reduced to the latter. Anti-austerity popular protests erupted when the government announced the 2018 budget last month. Economists and financial experts have described the new budget as a “catastrophic” measure that allots 75 percent of the country’s funds to the regime’s security apparatus and militias. These experts are not wrong. The new budget has made the lives of average Sudanese citizens unbearable. The prices of basic needs and commodities, including bread, medicine, fuel, and electricity have reached an unprecedented level. The Sudanese currency is losing its value daily – one US dollar, while officially worth 18 Sudanese pounds, is now selling for 42 Sudanese pounds on the black market. To top this all off, the Central Bank of Sudan is issuing new regulations in a rapid-fire manner. Rather than addressing the collective collapse of the Sudanese commercial markets, national currency and banking system, the government’s only response has been printing more money. Sudan’s former finance minister, Abdel Rahim Hamdi, has commented that the government is losing control of the economy and should let the market determine the price of the pound, which would, in turn, encourage foreign investment and reinvigorate the economy. On 16 January, the Sudanese Communist Party led a peaceful demonstration in Khartoum after authorities rejected their request to mobilise and submit a memorandum on the new budget. The protest was joined by Sudan’s main opposition groups, youth activists and average citizens. Since then, other popular protests have mobilised, and not only in Khartoum but also in other cities and regions of Sudan, such as El Obeid, Nyala, Wad Madani and Port Sudan. Mainstream opposition leaders who were criticised for declining to participate in the 2013 protests now say they plan to sustain this momentum until the masses are large enough to defeat this regime. Unsurprisingly, the regime and security forces have cracked down on both demonstrators and opposition leaders. So far, five civilians have been killed during peaceful protests (a student in Nyala city and four internally displaced residents of the Hasahisa camp in central Darfur), and more than 20 injured. Dozens of protesters, opposition leaders and journalists, including Mohamed Mukhtar al-Khatib, secretary-general of the Sudanese Communist Party, were arrested by Sudanese security forces on the first day of protests. That list has grown to include journalist Amal Habbani, AFP reporter Abdulmoniem Abu Idriss, deputy leader of the Umma Party Sara Nagdallah and Darfur Bar Association Secretary-General Mohamed Abdallah el-Doma. During the September 2013 revolt, more than 200 peaceful demonstrators were killed, and there are fears that the regime could resort to a similar brutal crackdown to ensure its survival and stop citizens from mobilising. Political tensions are not limited to the popular protests in Sudan. There is a known riftbetween Bashir and his long-time confidant, first vice president and prime minister, General Bakri Hassan Saleh, and it continues to widen. Saleh has been rumoured to be the US and some Gulf countries’ favoured replacement for Bashir. Last month, many Sudanese newspapers reported that Ibrahim Ghandour, the foreign minister, had presented his resignation to Bashir, complaining about interference in his ministerial portfolio. However, he withdrew his resignation after reported interventions of some leading figures in the government. Ongoing power struggles within the government also encouraged parts of the regime’s old guard to re-enter the political game from different directions. Former Vice President Ali Osman Taha is angling to help Bashir win the 2020 elections, while the founder of the National Intelligence and Security Service (NISS) and Bashir’s former senior assistant, Nafie Ali Nafie, is forming alliances with Saleh to prevent Bashir (and Taha) from returning to power in 2020. Hence, in his attempt to prepare the ground for his re-election in 2020, on February 11, 2018, Bashir has re-appointed one of the controversial, divisive and ambitious members of the regime’s old guard, General Salah Abdallah (also known as Gosh), as director of the National Intelligence and Security Services (NISS). He is a strong supporter of Bashir’s re-election in 2020. Gosh was removed from his post as NISS’s director in 2009, and in 2012 he was detained alongside 13 other officers for allegedly plotting a coup against the regime. Nevertheless, he was abruptly released in 2013. In 2006, Gosh was listed by the UN Panel of Experts on Darfur as one of the 17 people responsible for the heinous crimes committed in Darfur. Gosh is also widely perceived as the architect of the collaboration between NISS and the CIA, especially during the period of Bush administration, since the early 2000s. Unfortunately, and in typical fashion, regional and international responses to the current heavy crackdown and mass arrest of peaceful demonstrators have been slow and cautious. Bashir’s regime has failed to implement even the reforms it committed to in its own national dialogue – journalists continue to be targeted and Bashir’s militias, such as his “personal army”, or the Rapid Support Forces (RSF), continue to operate with impunity. To date, the regime still has no solution to the collapsing economy and austerity budget that are placing an intolerable burden on the Sudanese people. It is evident that Bashir’s top priority is to hang on to power at all cost. The Sudanese army, which was once regarded as a unifier of the Sudanese people, can no longer be counted on as guarantor of peace and stability. Sudan cannot survive like this until the 2020 elections. Bashir’s regime will continue to use the army and militias for his own survival. Bashir will also likely exploit the RSF’s participation in the Yemen war by asking the Saudis and Emiratis to save his economy. Neither of these tactics offers a permanent solution to Sudan’s problems. Peace talks between the Sudanese government and Sudan People’s Liberation Movement (SPLM/N) facilitated by the African Union High-Level Panel of Implementation (AUHIP) in Addis Ababa earlier this month failed to reach any deal on a cessation of hostilities or humanitarian access to the South Kordofan and Blue Nile states, and were neither inclusive nor comprehensive. Bashir is wanted by the International Criminal Court (ICC) for crimes against humanity, war crimes and genocide in Darfur, yet, under the Obama administration, the US welcomed rapprochement with Sudan to collaborate on counterterrorism and migration. Under the Trump administration, the US has removed 20-year-old sanctions on Sudan to continue the rapprochement policy initiated by Obama. In short, despite the gravity of the situation, the international community lacks a unified, coherent and practical strategy to put Sudan on a more stable political and economic path. Economists such as Professor Hamid El-Tigani Ali of the American University in Cairo believe the Sudanese economy will completely collapse within a few months if there is no urgent plan to save it. Over the next few months, popular protests will continue, particularly with opposition and youth activists gaining more confidence in the power of mobilisation. But despite Sudanese demands for reform, disorderly change would have a serious impact on citizens and the economy, as well as on regional and international peace and security. The only successful Sudanese scenario would include swift, inclusive and meaningful democratic transition with clear benchmarks. Key regional and international players must swiftly push for the appointment of a credible and capable international envoy with a clear mandate to facilitate an all-inclusive national conference. There is no other way for Sudan to avoid chaos and disintegration. 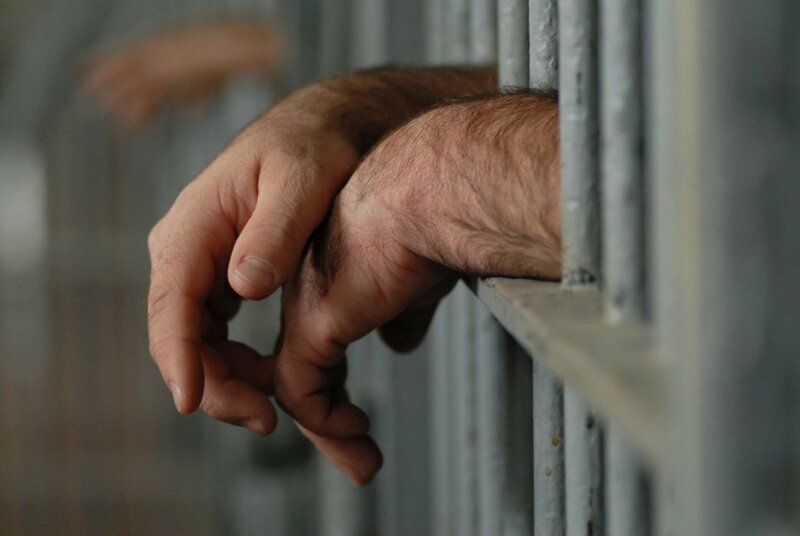 The international community should stop shying away from its moral and legal obligations; they must pressure the Sudanese government to release all political detainees and guarantee fundamental freedoms, as well as insist that the Sudanese government comply with international human rights laws in Darfur, South Kordofan and Blue Nile. FILE – Peacekeepers from Rwanda are seen at the airport in South Sudan’s capital Juba, Sept. 2, 2016. Link to image. More foreign troops arrived in South Sudan’s capital as part of the U.N. Security Council-mandated Regional Protection Force (RFP). But a South Sudanese analyst says the additional peacekeepers will have no impact on the country’s deadly conflict if they are not deployed outside of Juba. 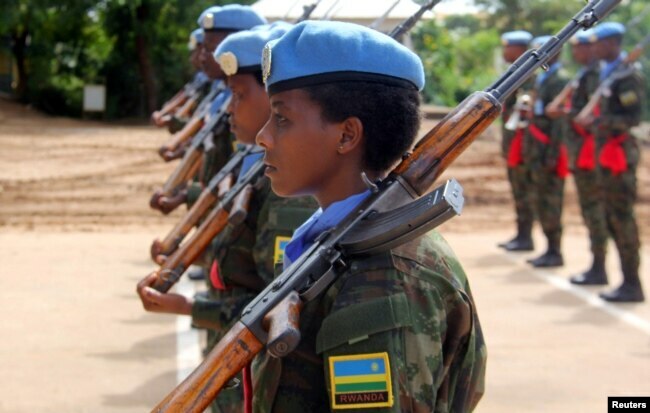 The 270 Rwandans who arrived on Saturday join about 600 other personnel from Bangladesh, Ethiopia, Pakistan and Rwanda. Francesca Mold, a spokeswoman for the U.N. Mission in South Sudan (UNMISS), said more Rwandans are coming by road, and the force will eventually grow to 4,000. The Security Council mandated in 2016 the RPF provide protection to key facilities and routes in Juba and to strengthen the security of U.N. Protection of Civilians’ sites, where thousands of displaced South Sudanese have been living after fighting broke out in their towns and villages. FILE – Rwandan peacekeepers from the Rwanda Defense Force (RDF) parade after arriving in Juba, South Sudan, Aug. 8, 2017. 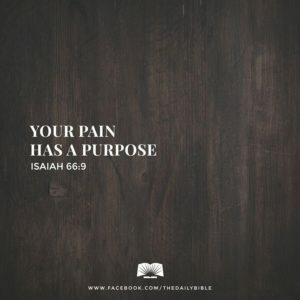 Link to image. Policy analyst Augustino Ting Mayai at the Juba-based Sudd Institute said the capital is stable, so there is no reason for the newly arrived troops to stay in Juba. 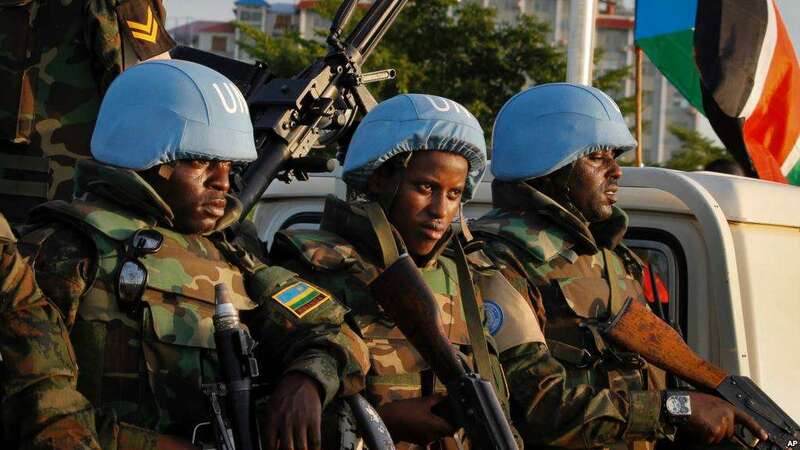 In August, UNMISS chief David Shearer said the arrival and phased deployment of the RPF would free existing UNMISS peacekeepers to extend their presence to conflict-affected areas outside of Juba. He said there were delays in deploying the protection forces because that requires the cooperation of the South Sudan government, troop contributing countries, and U.N. headquarters to make sure all procedures are followed. And before more troops are sent to South Sudan, he said the U.N. should re-evaluate the performance of UNMISS and the kind of protection that is required in the country. FILE – South Sudan government delegates attend talks in Addis Ababa (J. Tanza/VOA). Link to image. Mayai said parties attending talks in Addis Ababa to revitalize South Sudan’s 2015 peace agreement should discuss whether a Regional Protection Force in South Sudan is even a good idea at this point. “The agreement should come up clearly on whether or not such a force is needed, and if needed, where exactly we should deploy them to provide that protection that it is desired,” he said. Tensions flared with government forces after RPF troops were deployed near Juba airport in August. Mayai said with more RPF troops arriving in South Sudan, the government and the U.N. should improve their coordination to prevent a repeat performance of that incident. “We need to streamline how a message is passed between the government and the international community, and that the community are made aware of the coming of troops so that they don’t cause panic when people see them for the first time,” he added. The U.N. Security Council authorized the Regional Protection Force for South Sudan after deadly violence broke out in Juba between government forces and bodyguards of former first vice president Riek Machar. Along with the Rwandan troops that arrived last week, the current RPF includes a company of Rwandan soldiers, a Nepalese company, and slightly more than 100 Bangladeshi engineers. Sudanese Trade Minister Hatem al-Sar on Wednesday announced the resumption of cross-border commercial traffic with South Sudan following a seven-year hiatus. 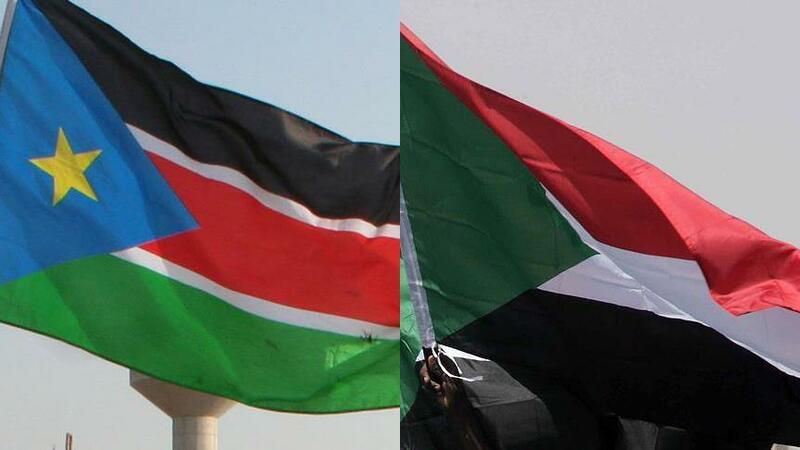 According to local media reports, the two countries have now resumed full border services in Sudan’s White Nile Province and South Sudan’s Upper Nile region. 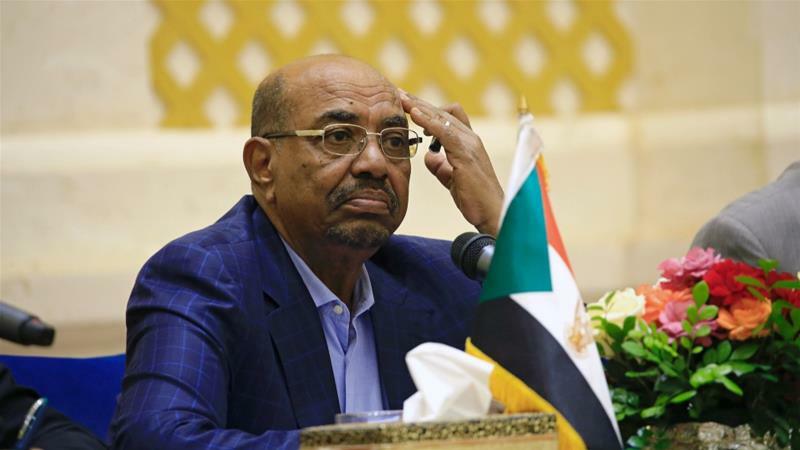 Al-Sar told reporters in Khartoum that the decision to reopen the border to commercial traffic had been ordered directly by President Omar al-Bashir. “The resumption of legal cross-border commerce will strike a blow against smuggling,” the trade minister said, adding that Sudan was “open to dialogue with all its neighbors”. Cross-border trade had remained suspended since South Sudan declared independence from its northern neighbor following a popular referendum in 2011. Despite ongoing differences between the two countries, Khartoum and Abuja signed a wide-ranging cooperation protocol — governing the transport, commerce, security and oil sectors — in 2013. As the second round of South Sudan peace talks unfold in Addis Ababa, Ethiopia, church leaders are urging the parties to prioritise peace to end the misery for millions trapped or ejected by the prolonged war. The talks, titled “High Level Revitalisation Forum,” which opened on 5 February are occurring at a time when international calls to end the conflict have amplified. The current civil war started in December 2013, as a dispute between the political elite in Africa’s newest nation. On the ground, the leaders told the parties to exercise restraint, tolerance, forgiveness and reconciliation, and begin honest and truthful negotiations. “We have consistently stated that this is a senseless war which should and must immediately stop. There is no moral justification to continue war and killings, regardless of any legitimate political issues with the government or opposition feel they may have,” said the leaders in a South Sudan Council of Churches (SSCC) statement on 5 February. About 14 factions are attending the 5-16 February talks which are led by the Intergovernmental Authority on Development. Delegates are hoping to jumpstart a peace agreement the government of South Sudan and the rebels, the South People’s Liberation Movement in Opposition, political parties and former detainees signed in August 2015. The forum is also expected to restore a permanent ceasefire, discuss governance and come up with a realistic timeline for elections, planned to occur at the end of the three transition period. The truce has been critical, with jubilation and hope greeting the ceasefire agreement signed on 22 December 2017. Church leaders had received the pact as a “Christmas gift,” but to their dismay, the factions broke it within hours. Now, the leaders want the groups to respect, honour and abide by this agreement which they committed to. “It is no longer acceptable to negotiate posts and positions in the middle of violence and killings. The needs of the people must be met,” said the statement signed by among others, Roman Catholic Archbishop of Juba Paulino Lukudu Loro and Rev. Peter Gai Lual Marrow, chairman of the SSCC. At the same time, the leaders express that there is no quick and easy way to resolve the difficult issues- referring to their historical experience- but stress the people’s longing for political compromise and peace. Analysts say the conflict compels the church, civil society and the international community to act. Current United Nations (UN) statistics show that in its fifth year, the conflict has forced 2.5 million to flee to neighbouring countries. The numbers are expected to reach 3million at the end of this year. Inside the country, 7 million people are in urgent need of humanitarian assistance, according to the UN. February 13, 2018 (KHARTOUM) – Sudanese authorities Sunday demolished a Presbyterian Evangelical Church in Khartoum suburb of Hajj Yousef, said a statement by a Sudanese group of faith. 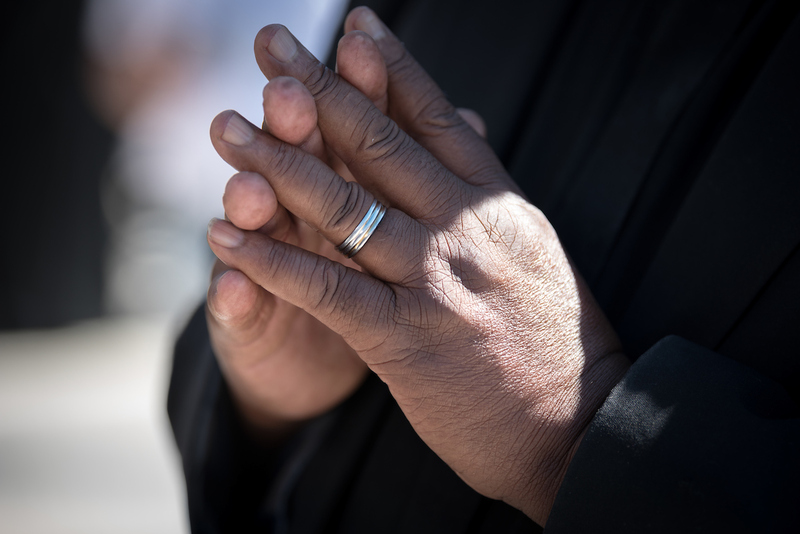 In a statement released on Tuesday, the International Solidarity Campaign with Sudanese Christians (ISCSC) denounced the demolition saying it is part of “a series of systematic violations of religious freedoms and targeting of Christians in Sudan”. The group said the police trucks arrived after the church service and demolished the building of the church which is established in 1989 and confiscated all the books, equipment and chairs found inside the church. “No prior notice had been given and a court case is ongoing contesting the scheduled demolition of this church, first announced in 2016,” said the group. The Sudanese authorities say the removal of a number of churches in Khartoum state comes as a result of the violated zoning regulations also they say they are not officially recognised as churches. This is the first demolition of a church since the removal of economic sanctions on Sudan in October 2017. The Sudanese government at the time stopped the demolition of a number of churches considered as illegal by the state authorities. Faith activists say the Hajj Yousef church was the first on a list of 25 churches that Khartoum state plan to demolish. Advisor faces charges of conspiracy to overthrow the government, espionage and supply of weaponry. William John Endley has also been charged with insurgency, sabotage, terrorism and illegal entry into South Sudan. Picture: Shutterstock. Link to image. A South African on trial in South Sudan could face the death penalty if found guilty of charges including conspiracy to overthrow the government and supplying weapons, his lawyer said on Tuesday, a day after his co-defendant was sentenced to death. South African national William John Endley served as an advisor to rebel leader Riek Machar, whose forces have been fighting those loyal to President Salva Kiir in a civil war since 2013. On Monday South Sudan’s High Court handed the death sentence to James Gatdet Dak, a former spokesman for Machar, as well as a combined 21 years for incitement and conspiracy against Kiir’s government. The charges against Endley, a retired army colonel, that carry the death penalty are conspiracy to overthrow the government, espionage and supply of weaponry, his lawyer Gardit Abel Gar, told Reuters. He has also been charged with insurgency, sabotage, terrorism and illegal entry into South Sudan, he said. The exact charges against Endley had previously been unclear. South Africa’s Foreign Ministry did not respond to a request for comment. The court adjourned Tuesday’s hearing to February 15 after witnesses called by the defence did not appear. “We were unable to get the witnesses. Some them are outside the country,” Abel said. The court was not giving the defence enough time to summon its witnesses, he said. South Sudan, which won independence from Sudan in 2011, descended into civil war in 2013, months after Kiir fired his then deputy Machar. Tens of thousands of people have been killed and a third of the population have fled their homes. Machar, who fled to Democratic Republic of Congo after fierce fighting broke out in Juba in July 2016, is now in South Africa. Diplomatic and political sources say he is being held by South African authorities at an unknown location to keep him from participating in the conflict. Pretoria says he came to South Africa for medical treatment and was staying as a “guest of the government”. A relative of Endley, who did not want to be named, said South African officials in Juba had worked hard to provide consular support but Pretoria could do more to push his case. “They’ve helped us in getting money and parcels to him, but I think more could be done at the diplomatic level,” the family member said. A ceasefire agreement signed between Kiir’s government and the rebels in December is intended to revive a 2015 peace deal which lasted less than a year before collapsing. Talks on a new power-sharing arrangement and an election are scheduled to follow but clashes have continued to break out, prompting the United States to impose sanctions. On Monday, the government accused rebels of launching attacks in the northeastern town of Nassir. An internationally backed ceasefire monitoring team said it was sending a team to investigate the violence in the next 24 hours. 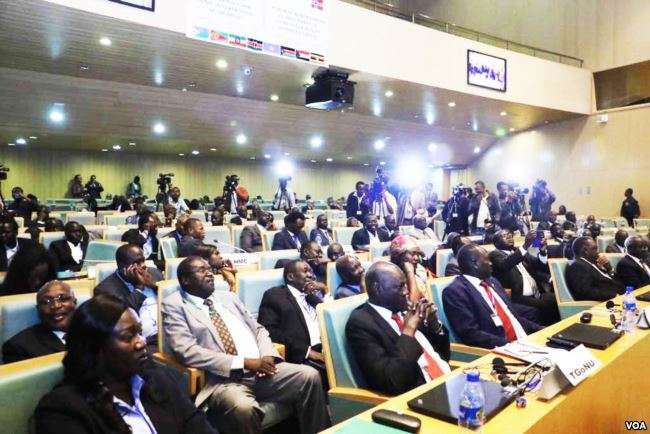 (ADDIS ABABA) – The Sudan People’s Liberation Movement in Opposition led by the former FVP Riek Machar has announced it signed a Declaration of Principles for the peace revitalization process while the government refused the framework saying it calls for sanctions on the parties. 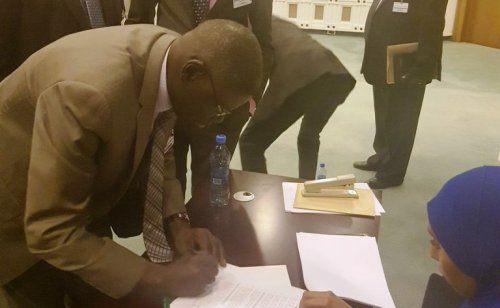 The SPLM / SPLA (IO) “Deputy Chairman of the SPLM/SPLA (IO), Comrade Henry Odwar has signed the Declaration of Principles (DoP), for the IGAD – High Level Revitalization Forum on South Sudan (HLRF),” said a statement released by Mabior Garang Mabior the head of the head of the SPLM-IO information committee. “The leadership would like to assure our people, that your Movement, the SPLM/SPLA (IO) is fully committed to peace through a negotiated settlement,” Mabior further added. The rebel official, however, didn’t comment on the position of the government delegation on the DoP but stressed that their delegation is resolved to negotiate with the government in good faith and they shall not betray the hopes and aspirations of South Sudanese for peace. The government spokesperson Michael Makuei Lueth rejected the DoP saying it includes calls for punitive measures against the parties to the process and ignore what had been discussed and agreed in the forum. He pointed they are ready to sign this facultative DoP if the mediation deletes the 28 article including a call for sanctions on the parties that do not commit themselves to the full implementation of the peace agreement and the outcome of the revitalization operation. “This article (28) is misplaced, it incriminates the parties, and it is not a principle. It is a punitive provision and as such, it is misplaced and should not be there,” said the minister. The second phase of the South Sudan peace revitalization forum started Monday, after the failure of the parties to implement a cessation of hostilities. It is also convened under regional and international threats to impose sanctions on the parties if they fail to honour the peace deal. For his part, Ethiopian Foreign Minister Workneh Gebeyehu who is also the Chairman of the IGAD Council of Ministers on Friday issued a statement reassuring that the revitalization process continues to discuss substantive issues in the South Sudan peace agreement. On Friday “Participants have commenced talks on Pre-Transitional Period and National Constitutional Amendment Committee (NCAC) stated under Article 13 of the ARCSS, while the signing of the Declaration of Principles was taking place,” said Gebeyehu in a statement released by the Ethiopian foreign ministry. As the second phase entered its fifth day, he further pointed to the progress achieved on issues ranging from the Transitional National Legislative Assembly and the Council of States, the Judiciary to the Transitional Institutions and Mechanisms stipulated under Chapter I of Article 11, 12 and 14 of the Agreement. “They have also reached consensus on Mandates of the Transitional Government of National Unity (TGoNU) on Wednesday,” he stressed. “Unthinkable” for peace process to proceed without inclusion of South Sudanese women. Link to image. Women politicians in South Sudan are saying “enough is enough”. They are calling for their voices to be heard and for a more inclusive process that allows women to play a pivotal role in the peace building process. “Men alone cannot bring peace. Women alone cannot bring peace. But men and women, together and united, can bring sustainable peace,” she said. 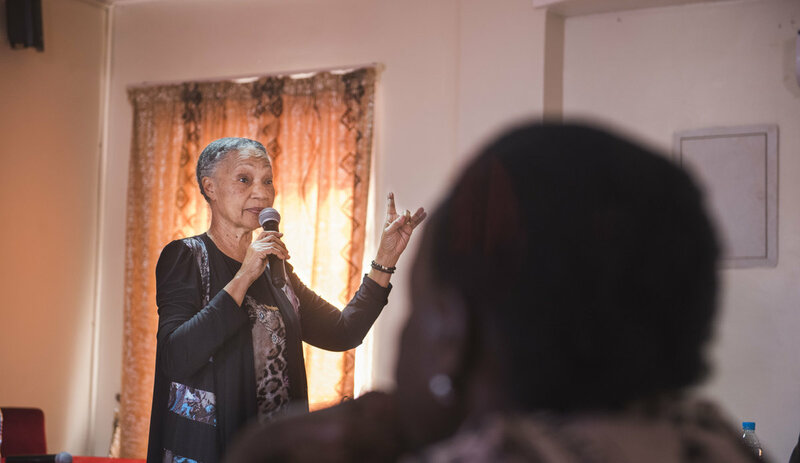 Theresa Sericio joined other women politicians, academics and civil society activists at a workshop organized by the United Nations Mission in South Sudan’s Gender Unit and Political Affairs Division to discuss women’s participation in the peace process. The forum comes at a time when political leaders from across the country are meeting with regional and international agencies at the High Level Revitalization Forum in Addis Ababa where a cessation of hostilities agreement was recently signed. Speaking at the workshop, the Deputy Special Representative of the Secretary-General (Political), Moustapha Soumaré, said the UN will continue to support all endeavours to enhance the participation of women in the peace process. Canada’s Ambassador to South Sudan, Alan Hamson, shed light on the importance of women’s participation and contribution to peace processes both at national and sub-national levels. Norway’s Ambassador to South Sudan, Lars Andersen, echoed that sentiment saying it is almost “unthinkable” to have a peace process that does not include women. Research by UN Women has found that, when women are involved in peace processes, they bring the discussion beyond narrow personal interests of warring parties to help to address the root causes of conflict. This approach contributes to a more enduring peace. 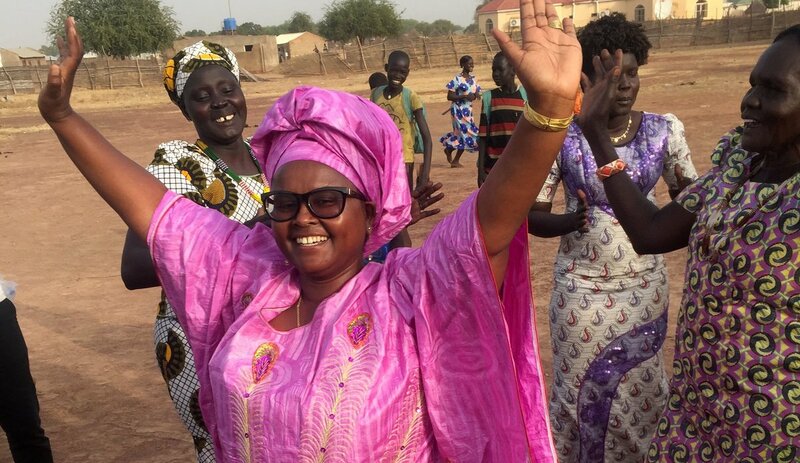 In South Sudan, women politicians have come together to form a network to ensure participation in the various phases of the peace negotiations. Mediation efforts have also led to a 25 per cent increase in the number of women elected and appointed to public office. “We are trying to build a momentum where women will come together and speak with one voice,” said Theresa Sericio. At the conclusion of the workshop, the women leaders issued a communique setting out eight resolutions, including urging the international community and regional bodies, such as the Intergovernmental Authority on Development (IGAD), to remain committed to the inclusive and effective participation of women in peace talks and for all stakeholders to commit to the cessation of hostilities agreement. “We do not want a peace that comes today and dies off. We do not want a ceasefire that is signed today and dies off,” said Theresa Sericio. Since the conflict began in 2013, tens of thousands South Sudanese people have been killed and four million have been displaced or forced to flee to neighbouring countries as refugees. As the second round of talks continue at the High Level Revitalization Forum, it is hoped that women politicians will have a seat at the negotiating table and act as catalysts of change to forge a path to peace for the fragile East African nation. Education best way to free South Sudanese women from gender-based violence and discrimination. 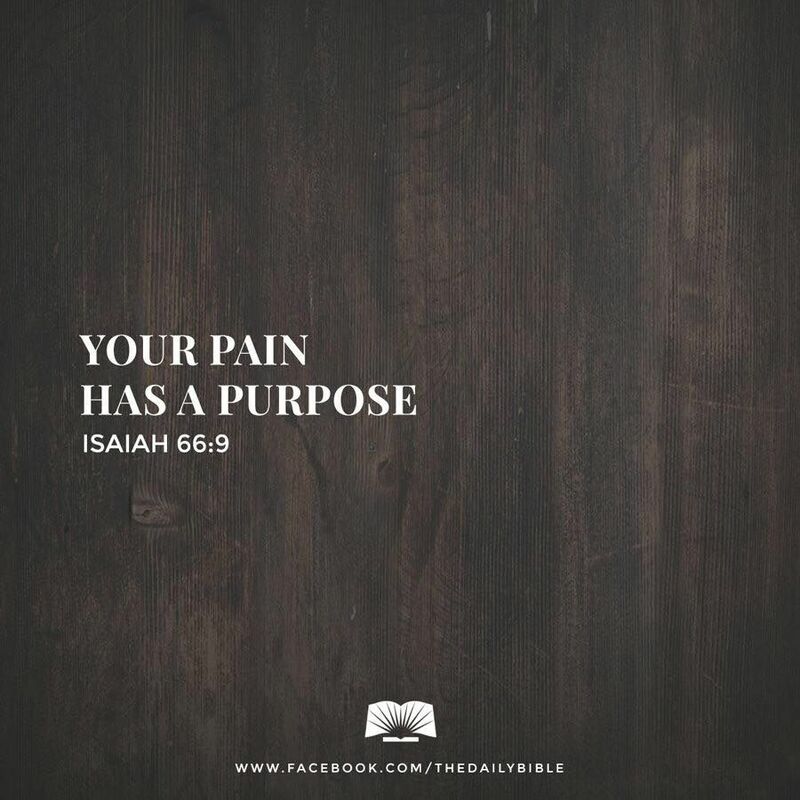 Link to image. Women and girls in the Gogrial area have been encouraged to get an education and thus minimize the risks they face of being subjected to gender-based violence. The call comes amid reports of an increased number of sexual violence and abuse against females in the Greater Warrap region. Anastasia Nyirigira, head of the United Nations Mission in South Sudan field office in Kuajok, spoke to a number of women at the closure of a two-day workshop held as part of activities conducted to mark the International Day of Zero Tolerance for Female Genital Mutilation. “The only way we can combat early marriages and forced marriages is to send our girls to school. I look at you women, and if you want to educate your daughters you can do it, because education is the only tool that can free women from all discrimination. Education can lead to economic independence and open many opportunities. We [UNMISS] stand with you, we will continue to support you and build your capacity,”, Ms. Nyirigira said. The state minister of Gender, Children and Social Welfare, Garang Bol, applauded the role UNMISS is playing in raising awareness on harmful practices against women and girls and encouraged the peacekeeping mission to keep up its good work. The Director-General of his ministry, Nyan-Nuot Madut, commented that these efforts are important at a time when many cases of sexual violence and abuse of girls and women are being reported. The workshop was organised by UN Police and focused on harmful practices against women. The forum was attended by 65 participants drawn from the Kuajok women’s union, civil society and the organised forces. The Secretary-General for the women’s association, Aker Deng Akol, made an appeal for more education opportunities for women and girls. “What I want to say to parents, community members and the government is that we need to encourage and empower girls and women and let everyone go to school”, she said. Some participants strongly reacted to workshop as the “eye opener” forum for women to engage their male counterpart to discourage wrong attitude toward wrongdoing. One participant, Elizabeth Nyanjok, described the event as an “eye-opener” that has encouraged her to talk to male counterparts on the importance of avoiding wrongdoings against women. Another attendee, Mary Akol urged UNMISS to take its trainings to rural villages, and to target government officials to alert them on issues relevant to girls and women. “Education should be a common goal in our community. Our government has to cooperate with the UN Mission so that we women can benefit from the trainings offered to us,”, she said.